The new ‘smart’ bicycle — developed by students of International Institute of Information Technology (IIIT), Hyderabad — will be introduced next month, Traffic Police authorities said. 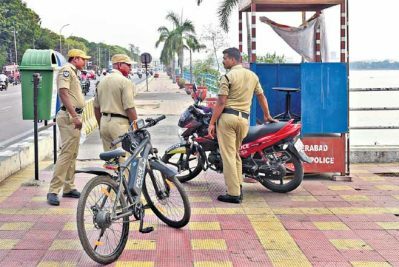 Hyderabad: In an attempt to make maintenance of law and order easier during festivals and processions, and to improvise surveillance at tourist spots, the City Traffic Police will soon introduce battery-powered bicycles. The new ‘smart’ bicycle — developed by students of International Institute of Information Technology (IIIT), Hyderabad — will be introduced next month, Traffic Police authorities said. The cycle has been designed keeping the conditions and requirements of the Traffic wing in mind. 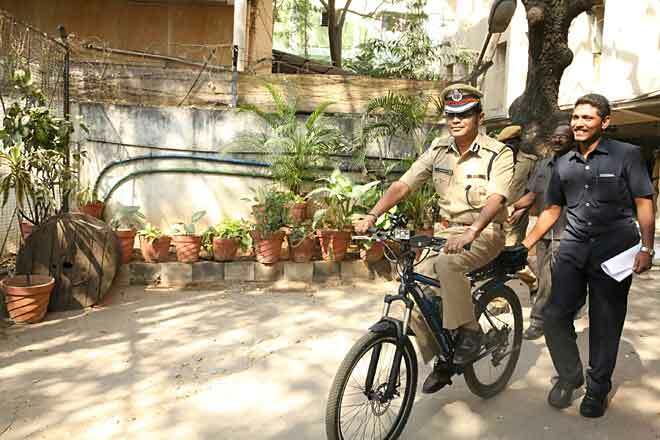 Hyderabad Police Commissioner VV Srinivas Rao said after a lot of research on problems in monitoring processions and crowd at tourist spots, the concept of battery-powered bicycles came up. “The bicycle will be a mechanical assistance for the department, bringing down the usage of motor vehicles. It will be an environment-friendly electric bike,” he said. The bicycle, according to Rao, will have a battery of 250 volts and can run up to 50 km with a single recharge. “The major advantage will be its mobility and easy integration with the Global Positioning System (GPS),” he said, adding that it would take one-and-half hour to get fully charged. The bicycle will be used for tourism policing as well. “Patrol teams deployed to monitor tourist spots such as Qutb Shahi Tombs, Golconda Fort and others will be given these bicycles,” the Commissioner said. The bicycles will also be used to monitor Tank Bund and KBR Park, and similar spots in the city, he said.